Yellow baby shower theme is fitting for gender neutral baby showers. 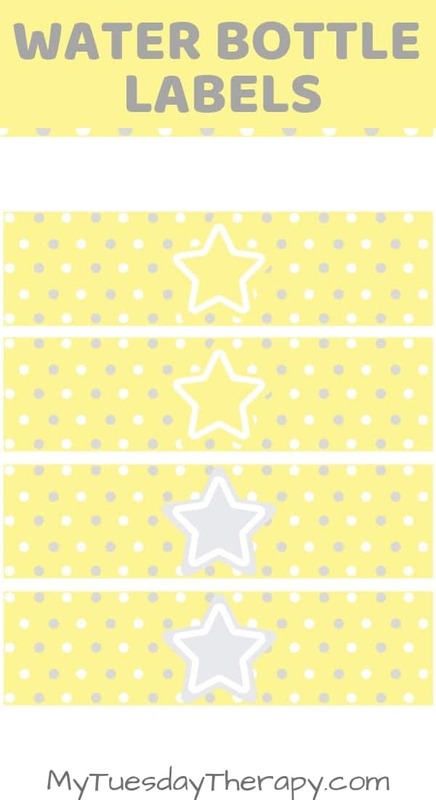 Pretty stars and polka dots with white, yellow and gray look lovely any time of the year. This collection has napkin rings, centerpieces, chocolate bar wrappers, a couple of options for banners etc. 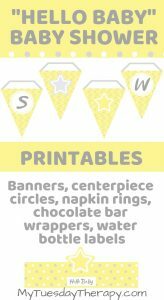 I have included simple print and cut printables and print, cut, and glue printables for those who like to add more dimension to the decorations. Print a sample page to see what the colors look like. 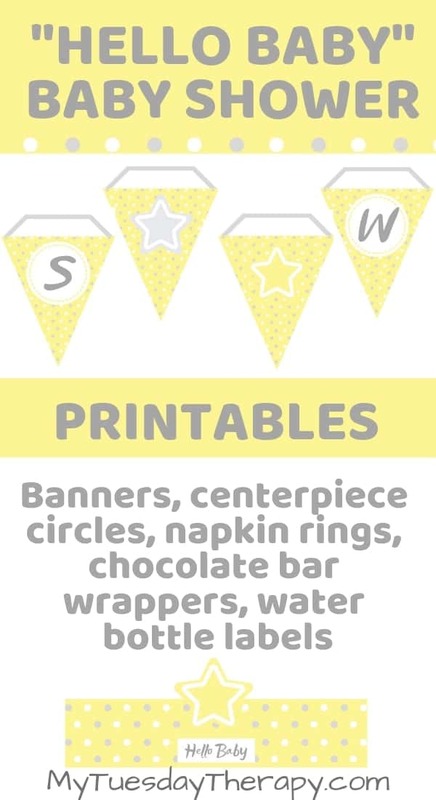 You’ll also get a blank pennant (yellow with polka dots) and letter circles to cut and glue if you want your banner to have a little bit different look. 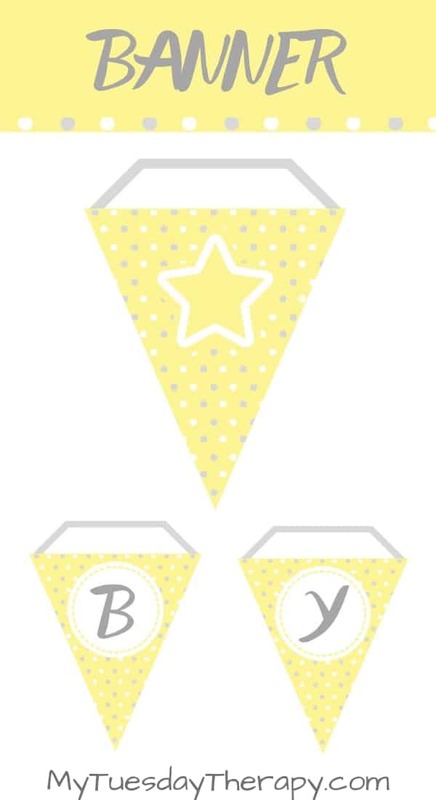 The ready made banner pennants and the cut and glue circles have the letters: b, a, s, w, e, t, h, l, o, r, !. Also a yellow and gray star. Wrap the napkins and silverware with cute napkin rings. In addition to these napkin rings you’ll also get the cut and glue version. Napkin ring size 7 x 1.5″ (plus the star). Centerpiece circles are a popular way to decorate the tables. And for a good reason. It is easy! And looks cute. Cut the circles and tape to dowels. Insert into vases or mini diaper cakes. And you’ll also get the cut and glue version so you can add little more dimension to the centerpiece circles. 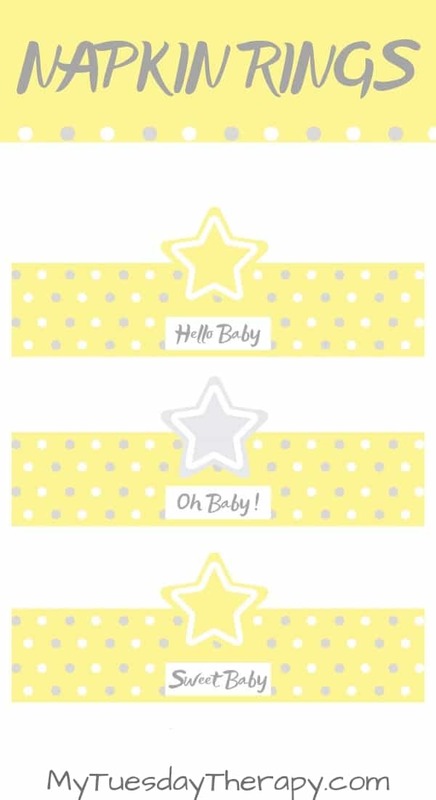 Any cupcake will match this star baby shower theme when you wrap it with a cute cupcake wrapper. 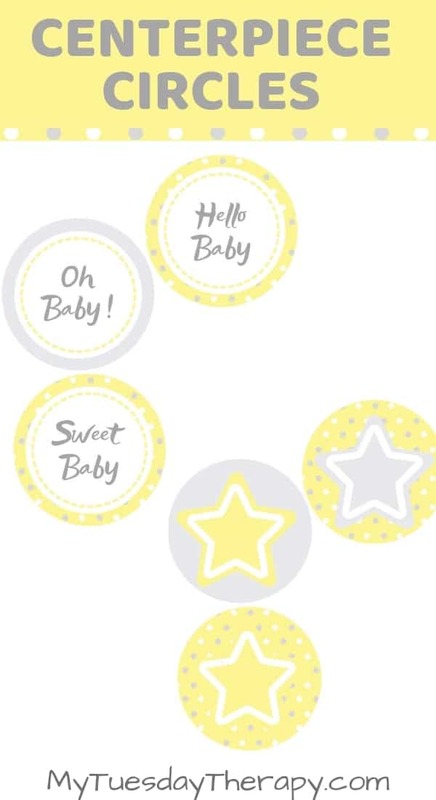 The cupcake toppers can be used to decorate water bottles, vases, diaper cakes etc. They also work well as a favor or prize tag. Decorate water or soda bottles with these water bottle wrappers. They make cute decorations for vases or centerpiece boxes. 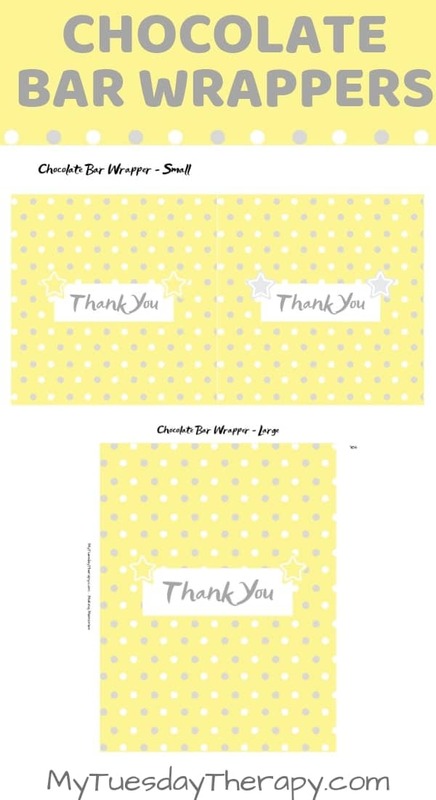 You’ll get the cut and glue version too: blank wrappers (yellow with polka dots). The cupcake toppers double as water bottle decorations. 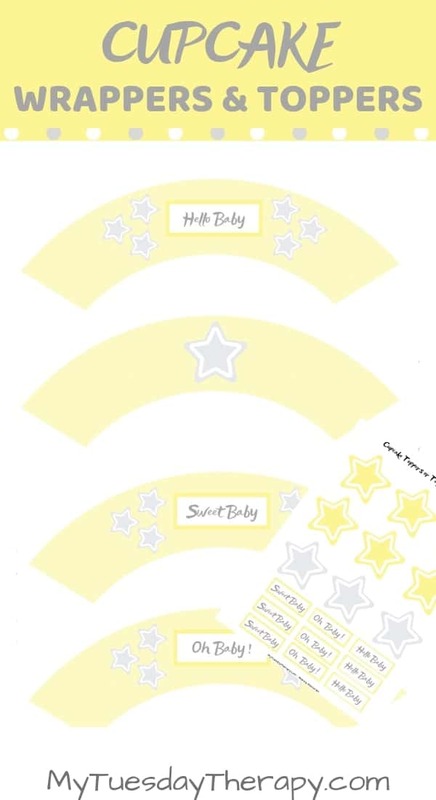 Use the printables in various ways to host a fun baby shower. This is a digital file, you will not be getting anything in the mail. You’ll get an instant access to the files and also an email with the download link. Colors: Please note that printed colors may vary from what you see on your mobile phones, computer monitors, and tablets due to different color calibrations on devices and quality of the printer.